White walls are the foundation of interior design, especially in education and office spaces. Over the past two decades, many businesses have embraced the idea of an open office, and with good reason. All design projects are a balancing act between aesthetics, function and of course, budget. It has been shown that hospitals and health care centers with better design result in better patient outcomes. Fine tuning the acoustics for your interior design is as tricky as it is important to a project’s success. We've highlighted 5 of our favorite projects from this year -- and included one throwback from last year! The learning environment is one of the most affected by acoustics. Save your office space with sound-absorbing room partitions! 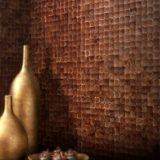 See how to incorporate the geometric design trend into walls, rugs, tiles and home decor accessories. 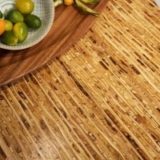 Kirei Board, made of Sorghum straw, may be the eco-friendly design solution you need! 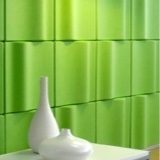 Use these decorative acoustic panel ideas to design sound spaces. Spring is in the air, and wouldn’t you agree that a little spring cleaning is one of the best ways to welcome in the season? This wonderful time of the year represents renewal and growth, which means it’s the perfect time to give a boring commercial space a facelift! In the age of open offices, flexible coworking spaces, and a drive to repurpose every vacant warehouse in sight, the demand for effective acoustic solutions is on the rise. However, for architects, designers, and contractors, specifying and installing acoustic products is no easy or structured task...until now! Today’s coworking spaces are more fluid and flexible than ever, transforming by the day or even by the hour. As such, interior products must be able to adapt to varying environments, often without causing damage to existing walls. This poses a challenge for coworking spaces and designers where space uses—one day a meeting room, another day a quiet work area—and acoustic needs frequently change. While high ceilings can make a room feel larger and more open, they can be a challenge for designers to work with. Protecting units from outside noise pollution with proper acoustics makes for more valuable units and a happier client base. There are a few ways designers can address the acoustic issues that come up in conference rooms, no matter what your aesthetic goals might be. Designing the perfect atrium comes down to finding just the right balance between the aesthetic and the functional. 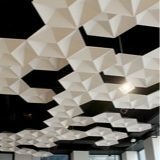 There are a variety of acoustic solutions for restaurants that can be customized to fit well into whatever interior design is currently present. The holiday season is here, and that means offices and companies everywhere are ready to end the year with a bang. Proper acoustic design in education spaces is vital for successful learning environments for teachers and students alike. Read this article to learn the ins and outs of creating ideal learning spaces. Gaining control of your auditory domain means gaining control of how people perceive, use, and remember the experience of being in your home, office, or place of business. Acoustics have played an important role in achieving the most ideal spaces for worship. These effects are achieved by careful acoustics engineering. Dealing with noisy coworkers? Check out these quick acoustic design fixes you can use today to fix the noise in open offices! Noise is everywhere, including your office space. Learn more about office acoustics in your space and creating a productive office environment. Think acoustics are too pricey for your project? Think again! Take them into consideration before the noise gets out of hand and save money in the process! Acoustic design can be confusing. Learn more about acoustics and how they apply to rooms and spaces of all types, explained by a professional acoustician. Acoustics can be confusing. Learn more about acoustics and how they apply to rooms and spaces of all types, explained by a professional acoustician. Distraction and noise issues are common in open offices. Use these tips to combat noise and privacy problems in your workspace. Experiencing echo issues in your office? High ceilings only add to that problem. These 4 solutions help you overcome overwhelming acoustic obstacles. Designing a conference room? Use these four tips to create the ideal conference room for collaboration and teamwork by incorporating acoustics. At the start of each new year there is a fresh surge of articles forecasting which design trends are ‘in’ and which design trends are ‘out’. Many of these trends or themes have a direct correlation to sound management, perhaps more than you may even realize! Alternative building materials, such as sorghum board, not only give building projects a unique appearance, but also offer designers a means of constructing more environmentally-friendly furnishings and decor. The year is still young, but we’re already thrilled about the interior design trends we’ve seen these last few months. With an eye on environmental responsibility and happier customers, restaurant design is sure to see fresh new inspiration in the new year. Whether you’re a minimalist or love all things bold, check out these five ways to use natural materials for your next dream design. There’s a wonderful variety of natural materials and products available now, because of this growing demand: everything from bamboo to steel to reclaimed wood. We are taking a look at a few of them. If you really want to create something different and make a lasting impression on guests, consider what you’re doing with your walls. Color can have serious impact on creativity and overall mood in an office space. Check out these colorful office products that can spruce up any office! For hotels, public buildings, special event venues, and even offices, it is crucial to be able to control noise levels to the extent that visitors feel comfortable. With a new year comes unexpected new design trends. We’ve put together a list of the top 5 commercial interior design trends we’re excited to see in 2017. As an architect, you have a busy schedule that involves not just planning and drawing, but creating presentations, finding the right color palette, and locating BIM information. You need tools that can help you get your job done right, whether you’re drawing in 2D or you’re printing out a 3D model. These 75 online and downloadable tools for architects are designed to help make your life a little easier. Try one or try them all to find the tool that will help your business succeed. Sustainability in design is important. We've narrowed down 7 useful, beautiful sustainable products that are appealing to the eye and responsible to use. Your restaurant can be beautiful, with sleek decor, alluring smells great service and amazing food, but if guests are assaulted by a wall of noise they can be turned off, or worse, turned away. We’ve found 9 sustainably sourced design materials that builders and interior designers should check out this year, as they grow in popularity. Recent years and technology have brought new ways of thinking about office organization, making it possible to rid the world of ugly cubicles forever. Classroom acoustics in schools are a necessity. Factoring them in before a room or structure is built can save serious money and help students immediately. Recent trends in office space design have geared away from the isolated confines of the cubicle and towards a more open office environment. Designers and office owners often don’t consider how an abundance of noise - or even lack thereof - might affect the everyday work experience. Do you have problems with office or workplace noise? If so, use this definitive guide on office acoustics to solve your workplace sound control issues. Commercial Office Design is not just an art, it’s also part science. Creating an optimal work environment is a delicate design balance.